Aces fall teams begin practice in July. The tournament season will begin in August and finish the first of November. Practices will be twice per week. Check in Time: 30 minutes before tryout. The Aces 14U will have 1 team for the spring season. As soon as high school is over we will have 1-2 teams for the summer. The 14U teams will swing BBCOR bats in the spring and summer. Tournament schedule will begin late February and end in July. Practices will start in February. There will be tournament costs and Aces membership fee's. 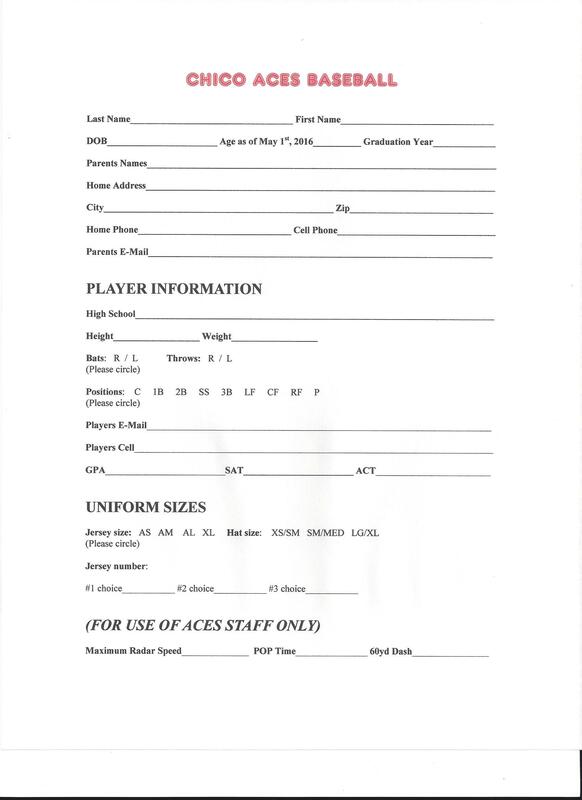 The Aces will do personal workouts/tryouts. Season begins after the high school seasons are completed. The season will run end of June - July. There will be showcase/tournament costs for the summer. Practices will begin in May after the completion of the high school season.